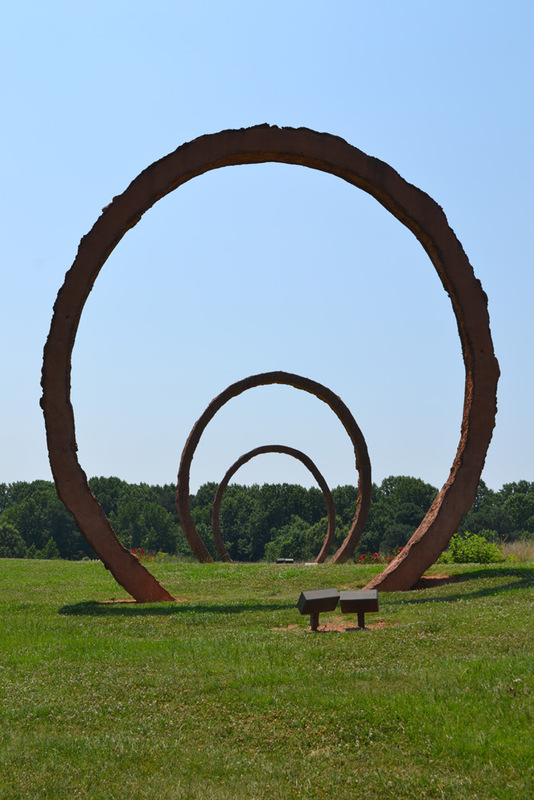 The Museum Park beside the North Carolina Museum of Art is the spot to burn excess energy while simultaneously getting your art fix and exploring your own natural kingdom. Peruse grassy fields and lush forests interspersed with massive outdoor sculptures on various biking and running trails. The works are inspired by and interact with their natural surroundings, creating a crazy dialogue with nature. I am always stunned by Gyre, which I like to refer to it as “The Portal.” Upon confrontation you feel as if you’re about to be transported…uh, somewhere? It consists of three towering, concentric concrete rings. It’s way cool. And the way it was made is even better. Three ring-shaped canals were dug on the museum grounds, filled with concrete and then the rings were lifted and lowered into location by crane. Whoa. Keep your burn on into the woods and to Cloud Chamber for Trees and Sky. It’s kind of sad how excited I get about this place. 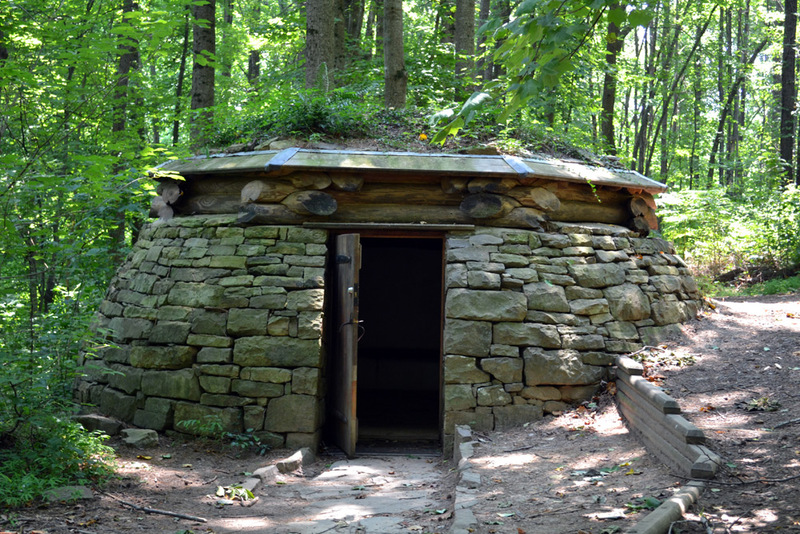 This squat little stone hut sports a roof of oversized Lincoln logs topped with ferns and other green things. Step inside and close the door. Right off the bat you get the basic gist of the chamber, but the shock of sudden pitch black requires a good 10 minutes for your eyes to adjust for the full effect. The chamber functions like one extremely large camera obscura. The outside world is projected through a pinhole in the roof and onto the interior surfaces of the hut. Instead of up, you’re looking down at a replicated canopy of trees and sky. The dark silhouettes dance below your feet and across the walls. Sit there long enough and you will experience some color. Incredible. All I can think is “I’m inside a camera!” Check it out on a clear breezy day to watch trees sway and clouds drift along. Pick up map of the Museum Park and its trails as well as descriptions of the artworks at the NCMA or here.